About a year ago, a company contacted me because they wanted my help with something new. They told me that they had a meeting [ahhh...], during which they had decided to be 'more visual' [oh uh], so they had designed a new logo [red alert - abandon ship]. The help they wanted from me was to put their new logo on their website [man overboard]. Why do brands think they can embrace the new connected world just by updating their visuals a bit? It's not about the colors, the shape of the logo, or some new visual advertising campaign. It's about connecting, influencing, demonstrating, and inspiring people in an active way. A logo is not engaging or active. Simultaneous with the unveiling of a new Jaguar logo and corporate identity, the launch of an innovative marketing campaign aims to increase awareness of the brand amongst a new audience in line with the marque's ambitious future plans. Jaguar's current range already represents an enviable combination of luxury, innovation and seductive performance, and we're working hard to build on those existing strengths by developing exciting new models and derivatives - some of which you will see very soon. 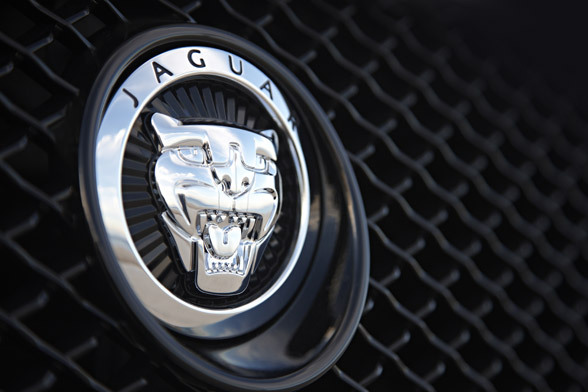 As that product-led revitalisation continues, now is also the perfect time to re-energise the Jaguar Brand, both to underline how ambitious we are, and to reach a new and enlightened customer base that is rightly demanding of the cars it buys. Our fresh corporate image and the new global marketing campaign both underline the confidence we have in our existing products, and set the tone for our future expansion. [In other words, we are going to pretend nothing has changed, and just do the same we have done for the past 50 years ...hoping people will be amazed that we use new pictures, fonts and graphic elements]. The Jaguar Alive campaign including the new Machines TV Commercial will be available at www.jaguar.com from Monday 27th February. All of these has the same thing in common. It is a script about motivating greatness, narrated to you on top of some gentle music, with a few images flashing by. All of these are great, and it's a wonderful way to do a TV commercial. But they are also very traditional. This is "best practice" of inspiring TV commercials. And then this one, which is slightly better. But I don't feel Jaguarish after seeing it. Both of which was posted on their Facebook page [good], but Jaguar's entire Facebook campaign was to post five 'Alive' posts over a two month period. Jaguar has 1.2 million fans, but only 612 people liked it, 31 commented, and 178 shared it. That is an engagement rate of 0.06%. If you want to "increase awareness of the brand amongst a new audience", your strategy needs to be centered around engagement. 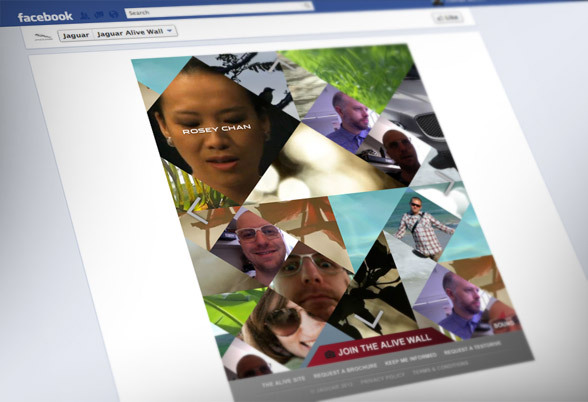 In the digital world, 'visual campaigns' have been reduced to a gimmick. They can give you a push, but they cannot be your strategy. The digital world is active by default. Read also: What it means to be an advertising agency in 2015. Jaguar is a special brand. As a luxury brand it has to appear a little aloof. Something that is slightly out of reach, with a sense of desire. This is sometimes hard to do on social channels, but you only have to look to the celebrities to see how to do this well. 1.2 million people 'desire' Jaguar, but only 178 shares it. That is a failure. People don't like Jaguar because of their marketing. They like them despite their marketing. In other words, they like Jaguar because of the product itself.